VATICAN CITY (CNS) — More than a century after he first set foot in North America, the story of a little-known Canadian blessed and martyr of the Soviet regime is starting to come out of the shadows. 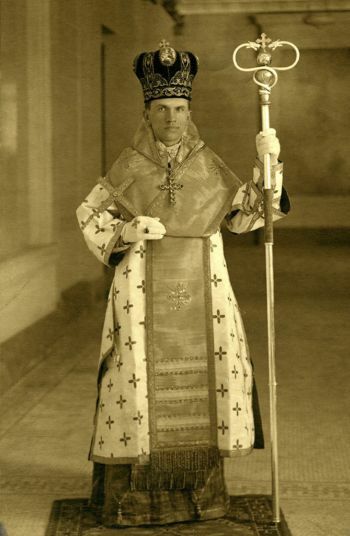 Blessed Nykyta Budka was the first Eastern Catholic bishop with jurisdiction in North America. “Bishop Budka’s story had been forgotten,” said Father Athanasius McVay, a priest of the Ukrainian Catholic Eparchy of Edmonton, Alberta. But since St. John Paul II beatified him in 2001, devotion to Blessed Budka been growing, he added. Icons of him hang in churches in Canada, the United States and Ukraine, a moleben (prayer of supplication) was composed for him, and several organizations were been named in his honor. Born in 1877 in Dobromirka (then Austria-Hungary, now Ukraine), Bishop Budka’s nomination to Canada in 1912 was a response to a wave of immigration from Central Europe. When he arrived, the Ukrainian population in Canada exceeded 150,000. Like most North American saints and blesseds, the pioneering bishop was an important figure in nation-building during his 16-year term. Bishop Budka’s efforts focused on the development and education of the Ukrainian Catholic community. He urged the immigrants to adapt to the ways of their new country and he built parishes, schools and community structures. By the end of his term, the parishes had multiplied from 25 to 170. Among his first priorities, however, was legal recognition for the Eastern Catholic Church in Canada, which then included Ukrainians, Ruthenians, Slovaks and Hungarians; the various communities were incorporated as the Ruthenian Greek Catholic Episcopal Corporation of Canada in 1913. But his episcopacy was far from being a series of successes. Frequent pastoral visits across his vast territory, which spanned the entire country, led the bishop to exhaustion. He suffered from poor health, took sick leave and even underwent surgery. Bishop Budka’s story is recounted in “God’s Martyr, History’s Witness: Blessed Nykyta Budka, the first Ukrainian Catholic bishop of Canada.” The 613-page biography was written by Father McVay, a historian, at the request of the Canadian Ukrainian Catholic bishops. The material is based on archival research in Canada, Ukraine, Poland, Kazakhstan and the Vatican. The biography explains how the bishop’s poor administrative skills drove his ordinariate to near bankruptcy twice. But most taxing perhaps was his continuous struggle with fierce opponents of the Eastern Catholic Church, including 12 Ukrainian-Canadian newspapers. Competing visions for Ukrainians in Canada and sharp disagreements within the community led to the establishment of the Ukrainian Orthodox Church of Canada in 1918. That same year, Bishop Budka was accused of treason and arrested, though released on bail. The court cleared him of all charges in 1919, and his exoneration opened the way for him to become a Canadian citizen the following year. 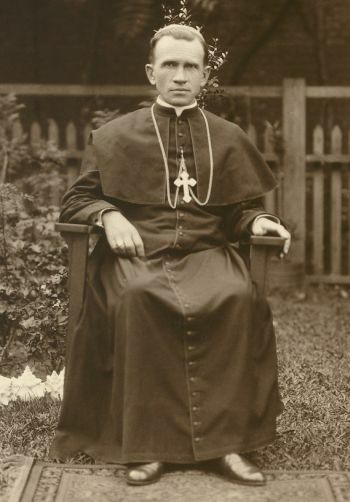 Despite his commitment to the mission in Canada, Bishop Budka was forced to resign in 1928, mainly due to poor health. He returned to Ukraine, where he served as a canon and led the renovation of a Marian shrine. In 1945, he was arrested by the Soviet police and sent to a prison camp in Kazakhstan. Bishop Budka had always maintained his Canadian citizenship and, during his imprisonment, the Vatican and Canadian officials had collaborated to negotiate his release but without success. He died in the camp in 1949. St. John Paul beatified him in 2001, along with 26 other Ukrainians martyred by the Soviet regime. The Catholic Church in Canada remembers Blessed Budka on June 27, along with Blessed Vasyl Velychkovsky, a Ukrainian Catholic bishop who was released from a Soviet prison in 1972 and died in Canada the following year. Ukrainian Catholic Bishop Hlib Lonchyna of London said the blessed was an effective “silent witness,” despite his life being “a great failure” in human terms. His martyrdom “shows how the cross of Christ is victorious,” he told Catholic News Service. Ukrainian Catholic Major Archbishop Sviatoslav Shevchuk of Kiev-Halych, also present at the book launch, said Blessed Budka witnesses to the Ukrainian Catholic Church today as a global reality.